Ray Keenes's chess DVDs are renowned for their excellent archival footage. 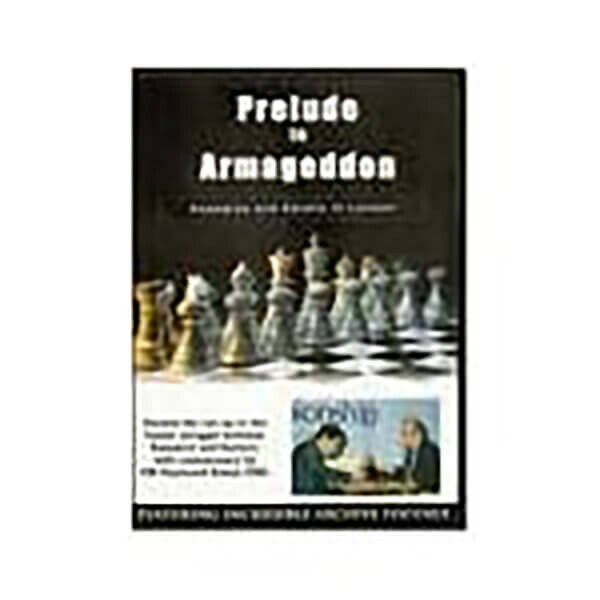 Prelude to Armageddon: Volumes includes coverage of the critical games as well as sensational archival footage of leading Grandmasters and champions, many of whom are no longer with us. Before their titanic struggle began in late 1984 which resulted in no fewer than five world championship duels over almost seven years, Garry Kasparov and Anatoly Karpov both participated in key events in London. Kasparov had to overcome Viktor Korchnoi in order to challenge Karpov for the supreme title, while Karpov had to prove himself in a tournament of elite Grandmasters as the prelude to his title defense against the young genius from Baku. There is fabulous archival footage of the greats such as Kasparov, Karpov, Korchnoi, Smyslov, Ribli, Najdorf, Gligoric, Robert Byrne, Miles, Mestel, Speelman, Timman as well as additionally commentary by Bob Wade OBE.